2013. Hebron. Palestinian Territories/The West Bank. 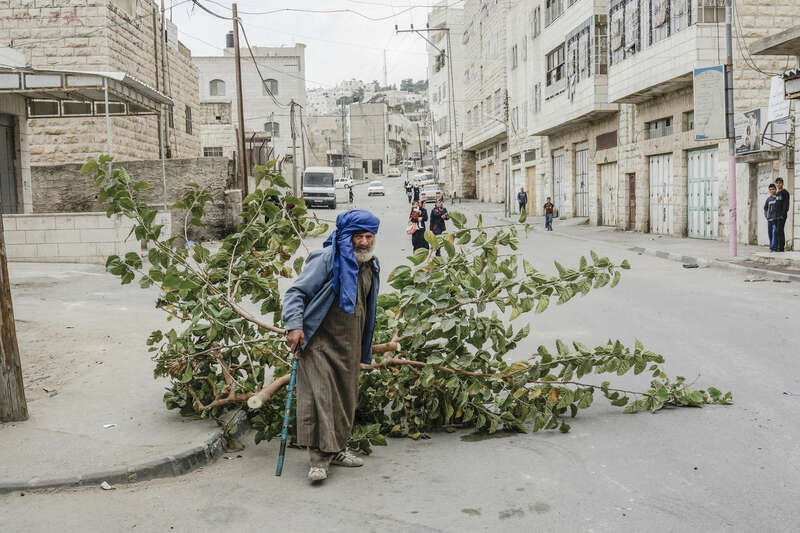 A man drags an olive tree through a clash between school children and Israeli soldiers.